A handy pocket size diameter tape designed for quickly finding the diameter of a circumference. 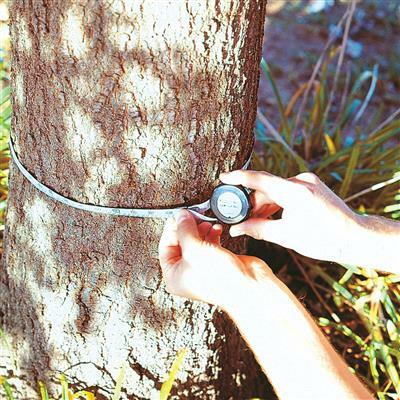 Good for measuring trees or piping. Simply wrap the tape blade around item and read the tape at the zero point.